Why Can’t YOU put down that cell phone? 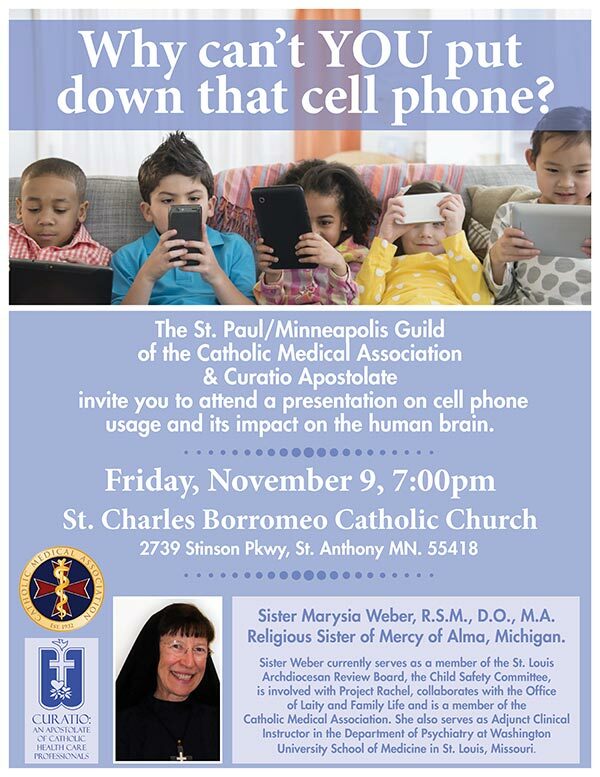 The St. Paul/Minneapolis Guild of the Catholic Medical Association & Curatio Apostolate invite you to attend a presentation on cell phone usage and its impact on the human brain. Sister Marysia Weber, RSM., D.O.,M.A.